Initially, the student-driven revolution against Czechoslovakia’s hardline Communist government seemed hopelessly naïve. In a mere eleven days, the humbled regime relinquished their dubious claim to power, clearing the way for the democratic elections. Unlike, the current Middle Eastern “Days of Rage,” it all transpired without demonstrators committing any sexually, ethnically, or religiously motivated acts of violence. 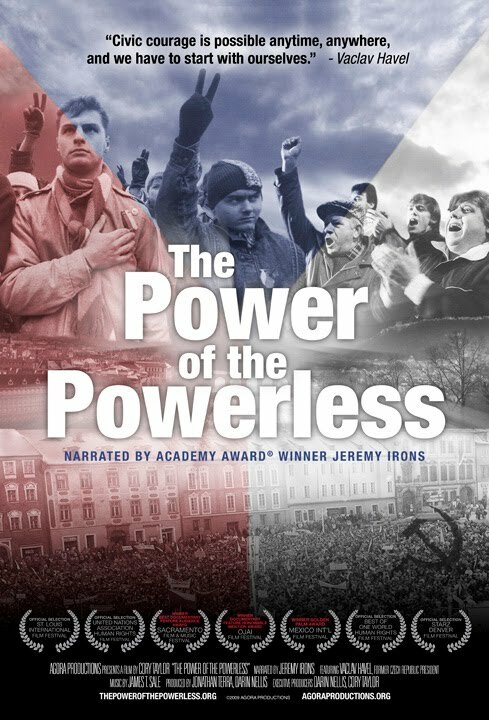 In fact, whether Havel and the Velvet Revolution were too forgiving of their former oppressors is one of the questions raised in Cory Taylor’s documentary, The Power of the Powerless (trailer here), which opens this Friday in the Los Angeles area. In 1989, Prague witnessed one of the most inspiring revolutions in world history. However, several college students interviewed throughout Powerless are unsure what to make of it. More specifically, they are unclear how their parents were or were not involved with either the Revolution or the former Communist secret police and its network of informers. In contrast, the Dana Němcová’s children knew only too well their mother was one of the 242 original signatories on the Charter ’77 declaration. Indeed, through a coordinated campaign of harassment, the government would not let them forget it. For context, Powerless provides an authoritative overview of the Communist Coup of 1948, the brief period of liberalization known as “Prague Spring,” and the resulting Soviet invasion of 1968. According to historian and onetime Havel advisor Jacques Rupnik, during the Stalinist period of so-called “Normalization” approximately half a million party members were purged. Indeed, the extent to which the Velvet Revolutionaries reached out to those former Prague Springers in 1989 clearly illustrates the humanist spirit of the movement. Not surprisingly, Havel emerges as the critical figure of the film’s narrative. Yet, one of the Powerless’ great merits is the wealth of former dissident voices it presents, including the relatively unheralded Němcová, as well as the likes of Jan Bubeník, a leader of the student demonstrators who became the youngest member to serve in the Czechoslovakian Parliament. Featuring the si lky tones of narrator Jeremy Irons, it tells the real life human stories of average people, who rather than merely finding themselves caught up in great events, rose to the occasion, becoming leaders themselves. The ultimate wisdom of Havel’s conciliatory tone to all but the worst offenders of the former regime remains an open question throughout Powerless. While most Czechs readily give him credit for unifying their country (though he was unable to hold together Czechoslovakia as a whole), many are plagued by nagging questions in the absence of a full accounting of the dark years of Communism. 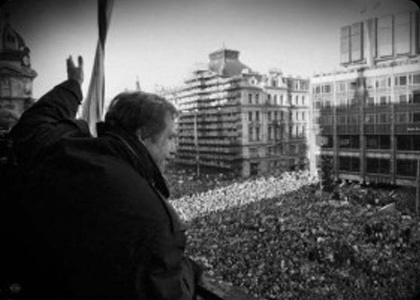 However, the peaceful “people power” Havel harnessed in face of a violent government repression speaks volumes. Indeed, Powerless is a timely reminder democratic revolution must be accompanied by a commitment to individual rights to be successful. Insightful and informative, Powerless opens this Friday (3/11) at the Laemmle Music Box in Beverly Hills, with a New York engagement to come sometime in the near future.